Halloween's gotta be a tough time for kiddos with allergies. I used to think my household was doing our part in being inclusive by having one bowl of treat bags full of our personal favourites (Reese and M&Ms) and one bowl of nut-free baggies with Mars and other minis that feature a red slash through an illustrated nut. In the past four years in my neighborhood, we average a hundred kids at our door and only one per year has opted for the nut-free, so I was kinda patting myself on the back for going out of my way to accommodate the 1%. But did you know that 1 in 13 kids has a food allergy? And that, more to the point, it's not always nuts. Dairy, gluten, dyes, and other food allergies make trick-or-treating so challenging for some families that they might just be opting to stay home and have their own Halloween fun rather than risk being in contact with their allergens. Since 2014, Food Allergy Research and Education (F.A.R.E. 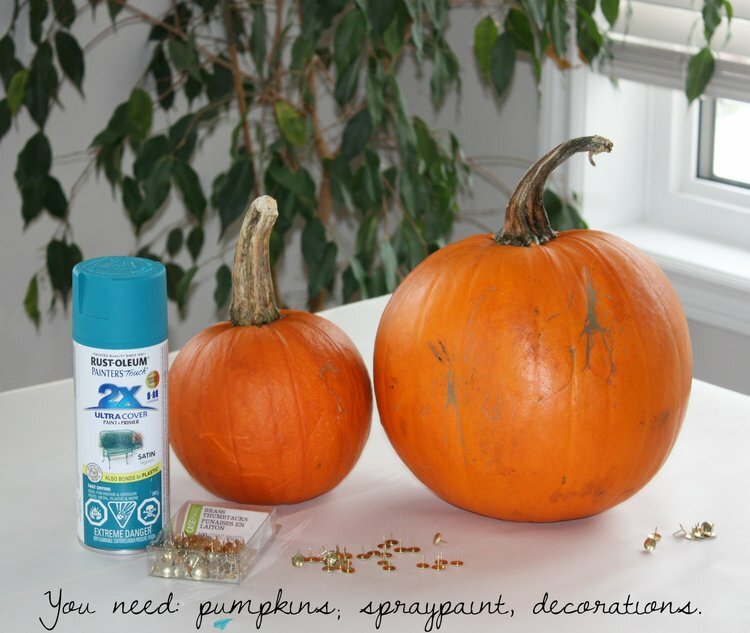 )'s Teal Pumpkin Project has aimed to make Halloween inclusive for all kids, encouraging people to display a teal pumpkin to signal that there are non-food treats available as an option. This campaign has also been a godsend for the parents of kids who can't eat orally and would otherwise be left out. Well, I was late in starting but have since jumped on the teal pumpkin wagon by registering my address as a Teal Pumpkin home and I invite you to do the same if you haven't beat me to the (dairy-free, gluten-free, nut-free, food-free) punch. 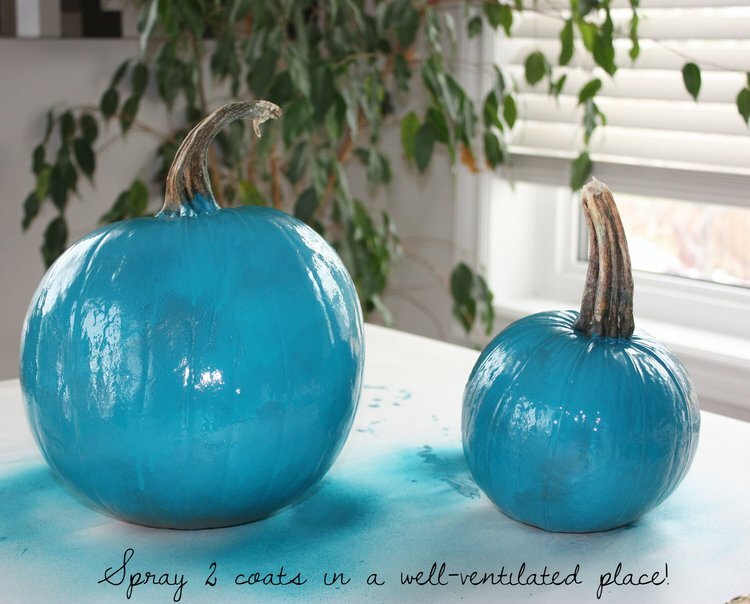 Here's how I made my own teal pumpkins a couple years ago. I’ve since switched to a little sign that’s reusable because I lent this spraypaint out and never bothered to get it back. Or, just go stand in the party favour section at your local Dollar Store and pick for yourself!